I know as RT’s we are already in a caring profession, but I want to engage you in an activity where we can all contribute to our communities. There are many individuals in our lives who can benefit from donated blood. A friend, a colleague, a family member or a patient. In Canada there is an urgent need for O- and B- blood, as well as donations of all blood types. 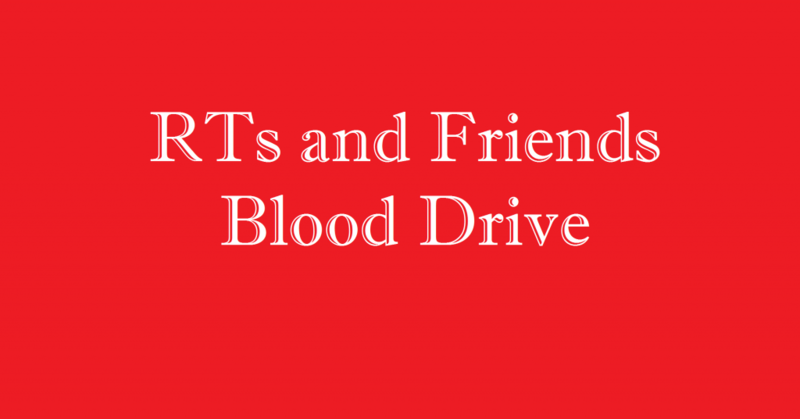 My challenge to you, is that in February we hope to get as many RTs and friends as possible to donate blood.